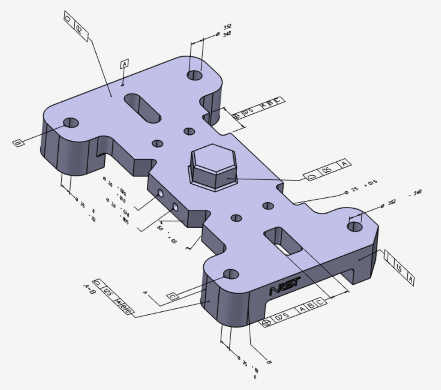 Product and Manufacturing Information (PMI) is used in 3D CAD and/or collaborative product development systems to convey information about the design of a product's components for manufacturing. 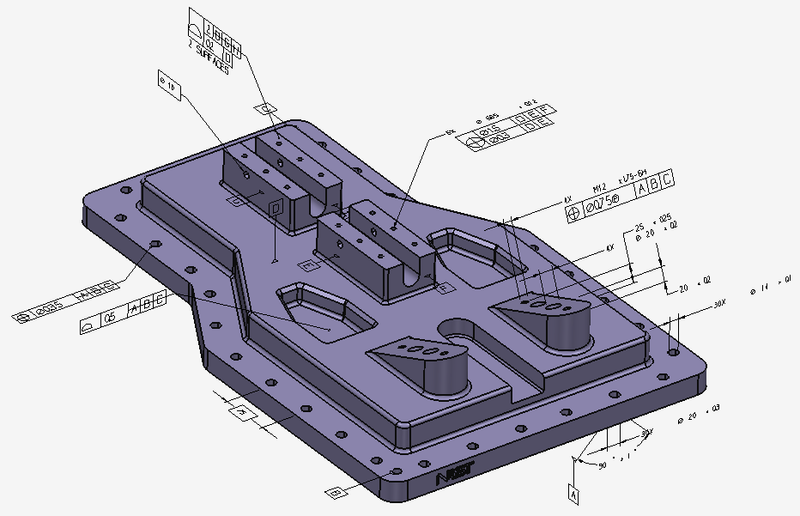 More specifically, PMI conveys information such as geometric dimensioning and tolerancing (GD&T), 3D annotation (text), surface finish and material specifications. The PMI related information is stored in the instances of ModelData_PMITable class. An object of this class could be attached to any scene graph element (ModelData_SceneGraphElement subclass) and contain complete PMI information related to the element. The ModelData_PMITable can be considered as a container of PMI data associated with the certain scene graph element. It is very important that all PMI entities related to this scene graph element (including referenced) were added into the same ModelData_PMITable, e.g. every ModelData_PMIPlane referenced by ModelData_PMIGraphicalElement should also be added. A graphical element corresponds to an elementary PMI entity such as dimension or tolerance measurement. The ModelData_PMIGraphicalElement class stores a presentation of PMI entity or annotation in graphical form. The information to be presented can be stored in different ways therefore several types of components were introduced to keep each graphical data close to the original. ModelData_PMIOutlinedComponent 2D/3D Stores PMI graphical data expressed by outline(s), like: unfilled text, lines, frames, arrows, etc. Outline is represented by polyline/polyline2d/curve/curve2d/composite. ModelData_PMITextComponent 2D Stores PMI graphical data expressed by a string. 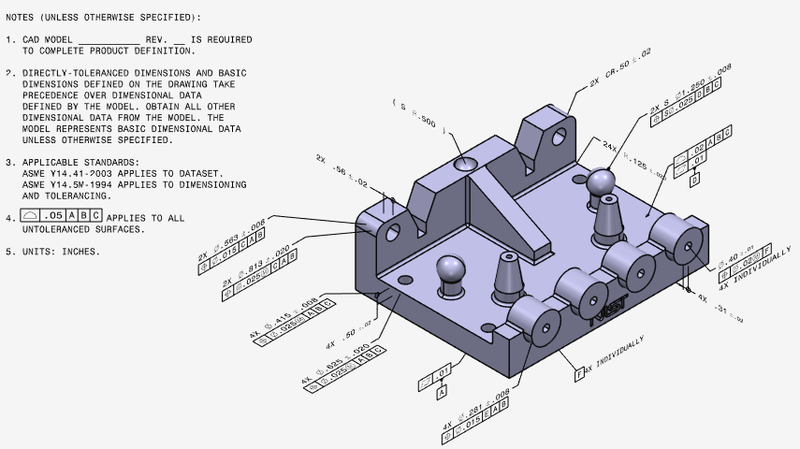 ModelData_PMITriangulatedComponent 3D Stores PMI graphical data expressed by triangulation, like filled text or any other triangulated planar shape. The graphical element can contain one or more components. The components can be of any type. 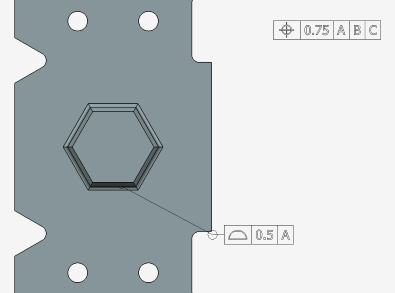 Please pay attention that 2D components (ModelData_PMIOutlinedComponent in case of 2D content and ModelData_PMITextComponent) are defined by coordinates in the plane (ModelData_PMIPlane) of its parent graphical element. So in order to position them correctly the plane of its parent graphical element should be set. The graphical element could have properties (ModelData_PropertyTable) but it's very rare. The properties can only be of string type. 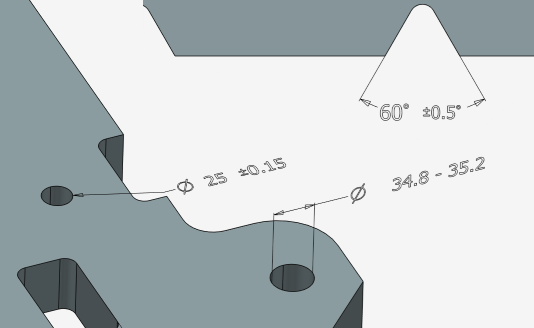 In order to position 2D PMI data on the screen the reference planes are used. The ModelData_PMIPlane class presents such reference plane and stores a geometric plane. The plane could be shared between multiple graphical elements. Saved views of a design model may be defined to facilitate presentation of the model and its annotation. 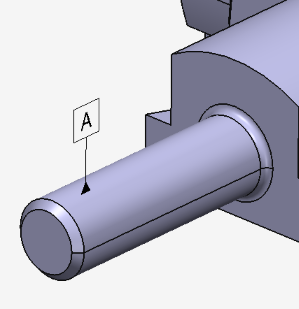 The ModelData_PMISavedView class presents such saved view. It stores a customized camera (ModelData_PMICamera) and a selected set of graphical elements. The camera sets position and direction of the view point relative to the model.